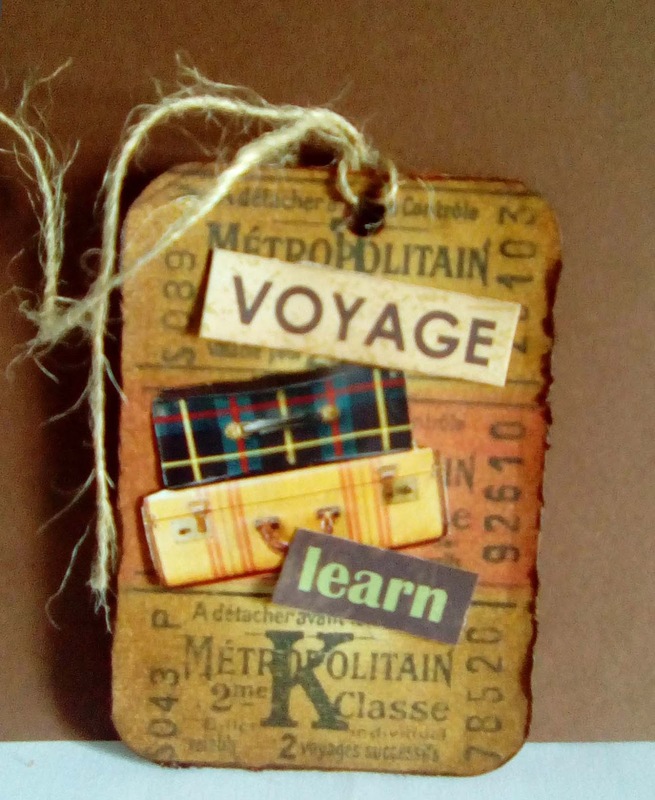 My post today is an ATC for the #52Cafe Cards challenge running at Maremi's Creative Cafe. Each week there is a new challenge based on a letter of the alphabet and my first entry is for J for Journey. I think anyone can join in and take part in the current and previous challenges. Some very creative people here! This challenge is good for me to help me get back into my crafting as work and home ( is houework ever done?) seem to take up a lot of time and energy, not to mention Mojo sapping. The make is a standard 3.5inch x 2.5 inc ATC covered with some wrapping paper I had in my stash. The suitcases are cutouts from a magazine and the sentiment is again from my stash from way back. Thank you for visiting today. Your time and comments are always appreciated.